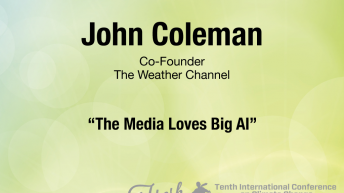 John Coleman founded The Weather Channel and was the original weathercaster on ABC’s “Good Morning America” with David Hartman and Joan Lunden. 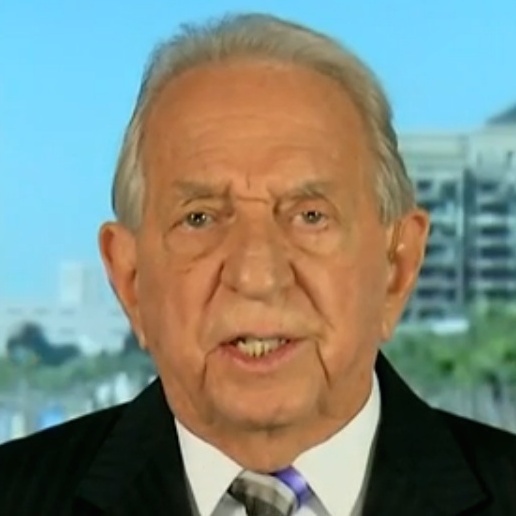 He retired in 2014 after more than 60 years in broadcasting. Coleman passed away on January 20, 2018. He earned a B.A. degree in journalism in 1957 from the University of Illinois, and after a decade of self-study and correspondence classwork obtained the American Meteorological Society’s full professional meteorologist membership. He was honored by the AMS as Broadcast Meteorologist of the Year. He later allowed his AMS membership to expire in protest of the AMS becoming more political than scientific. Coleman started his career in television in 1953 at WCIA in Champaign, Illinois. He also worked in Peoria, Illinois; Omaha, Nebraska; Milwaukee, Wisconsin; and Chicago, Illinois, where he was part of a news team that re-invented the format of television news and dominated the ratings for well over a decade. 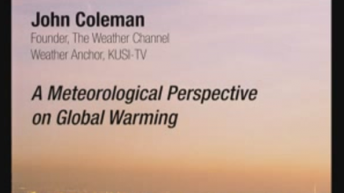 For most of the past 20 years, Coleman was weatherman for KUSI in San Diego, California. After 61 years of being on TV, he decided “enough is enough” and retired in April 2014. In retirement, Coleman remains busy. He has written a novel and screen play, designed two new apps for cell phones and smart TV. He does frequent national TV and radio appearances; and attends climate change conferences, where is he is frequently asked to speak; and writes and posts documents on the topic on the Internet. Watch his appearances on Fox News with Megyn Kelly and on CNN’s “Reliable Sources" debunking the AGW scare. 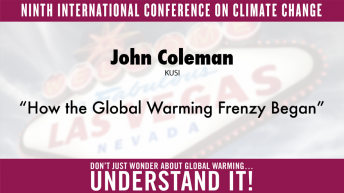 Coleman was a featured speaker at the Ninth International Conference on Climate Change, which took place in Las Vegas in 2014. Watch his presentation on how the global warming frenzy began. Coleman wrote, co-produced, and hosted two hour-long documentaries debunking the global warming scare. Watch "Global Warming: Meltdown," and "Global Warming: The Other Side." 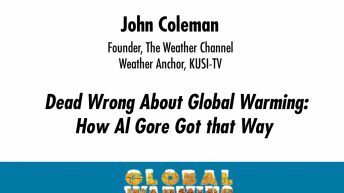 Coleman also recently produced a 35-minute PowerPoint video on the history of the global warming scare. Click here for numerous other videos of Coleman discussing global warming on You Tube.